Across the country, real estate investors and professionals are seeing the homebuyer population bounce back in a strong way. The housing crisis of 2008 seems to be a distant memory, and the real estate industry is now back to its former self. Much to the delight of real estate professionals, the number of those looking to buy a home, whether for the first time or not, has seen a steady growth nationwide. Among the major metro areas that are seeing the strongest growth of homeowners is the city of angels, itself: Los Angeles. Of course with such an increasingly self-sufficient economy, the community is experiencing such a population boom, and real estate investors are reaping the benefits. The appeal of the west coast is great. The city of Los Angeles offers great investment opportunities to investors, and with the revival of real estate industry, the current market is set for profitable investment in Los Angeles. Los Angeles County — the most populous in the nation with about 10.1 million people — has been growing steadily for years, and this population growth is essential for a long-term, stable housing market. The rate of California’s population growth, while continuing up, is forecasted to increase 3.5 million by 2050, and it will remain the largest county and city in the state. By 2060, the County will have a population of 11.5 million. The benefits of investing in Los Angeles real estate. The best thing about investing in Los Angeles is the broad range of properties within the city. Los Angeles real estate boasts everything from multi-million-dollar mansions to modest homes, and there is ideally something for every type of potential homeowner. The diversity of properties provides a range of investment projects, which is perfect for investors of all levels. Los Angeles isn’t just home to movie stars and A-listers. 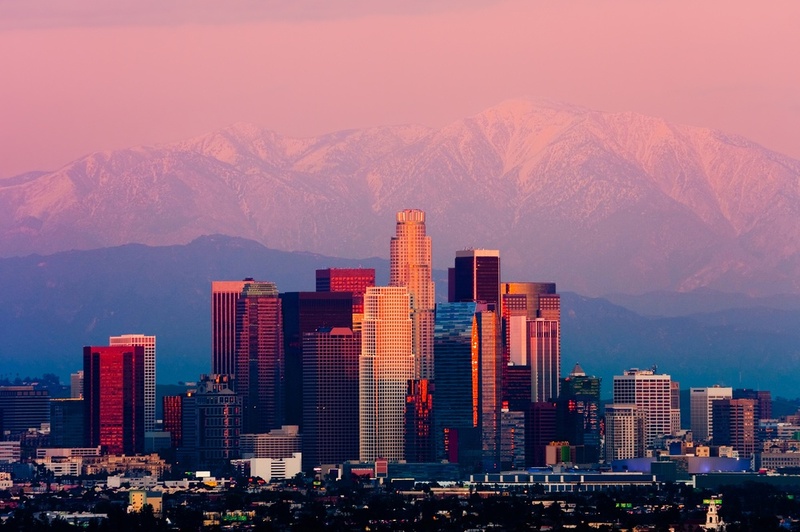 The economy in L.A. is booming and is home to numerous legal, accounting, brokerage, architectural, manufacturing, engineering firms, and banking institutions. Perhaps as the biggest factor of Riverside’s popularity, this ability to attract all kinds of people with cross-generational appeal with major employment possibilities is a huge upside for the Los Angeles population. Also, there’s the ever-present draw of Hollywood. The community of L.A. is not only appealing to residents, but it spans to the big screen by being a frequent film location choice by studios. The famous Los Angeles city skyline is often displayed in all its glory on the silver screens of Hollywood, much to the delight of proud Angelenos. Get started on your Los Angeles investment with New Western. With strong population growth and plenty of fame to accompany it, there’s no surprise Los Angeles’ growth is as strong as it is. With a steady population increase that shows no sign of slowing, the housing market in Los Angeles has been experiencing a shortage of decently priced, comfortable properties. That means it’s up to investors to provide potential homebuyers and renters with available properties. New Western Acquisitions is one of your best connections when it comes to wholesale real estate for investments, and offers many connections and resources for investors like you to succeed. To find your ideal property, New Western brings you a comprehensive database of available investment houses in Los Angeles, California. This makes it possible for buyers to receive exclusive deals on properties at deep discounts. Los Angeles is growing, and has been for quite some time. With a steady demand for residential properties, investors are set up for investment success, and Los Angeles investment properties are ripe for the picking. Are you ready to cash in? With New Western, it’s easy to profit with a real estate investment. Get started now!